We’re based on a business park with plenty of parking and a team in high-vis jackets to guide you to a space. To help you settle in from your journey, we offer free coffee, tea, juice and water, as well as a bite to eat. If you’re looking for something a bit different; a cappuccino, latte or perhaps something more substantial to eat, our café is open from 09:00 to 14:00, 17:30 to 19:00. Our morning and evening church services usually last about an hour and a half. The morning service starts at 10:30 and the evening service at 19:00. We like to keep things simple and informal, so no need to come all suited up, just whatever you feel most comfortable in. We start with a time of worship for about half an hour followed by a short welcome, news and a break. Then there’s a talk based on the bible and our experiences of following Jesus that’s practical and relevant to everyday life. After the talk, there’s an opportunity to be prayed for. We aim to make our Sunday church services accessible and inclusive to everyone as well as those with additional needs. The building is easily accessible and we have a number of disabled car parking spaces. Every second and fourth Sunday evening service is fully signed from the right hand side of the stage using British Sign Language. At the end of both church services, you can get another cup of tea or coffee. After the morning service Café Trent will be open. We'd love you to join us after the evening service from 20:30 to 22:00. The bar will be open where you can grab a drink and enjoy the afterhours’ vibe with music. Watch and listen to our Sunday talks. Worship is more than music. 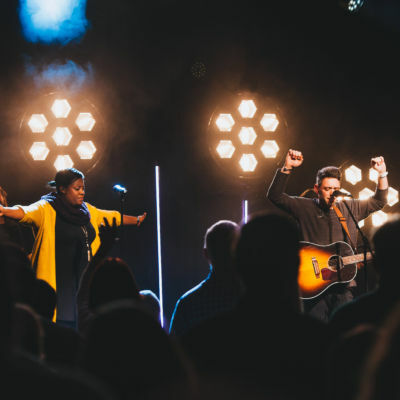 To us, it’s the act of freely giving our love to God in all that we do and we believe that giving in worship is the key to finding Him at work in our lives. Music is just one of the many ways we worship at Trent Vineyard. During our Sunday services we love to sing songs to God, lifting Him up, giving thanks for all He is and has done in our lives and telling Him how much we love Him. What we sing is very important to us and that’s why we write and sing our own songs. Over the years, we've recorded a number of albums which you can listen to and buy at Vineyard Worship. You can also search over 700 songs written in Vineyard churches from all around the world at vineyardsongs.com including many of ours. 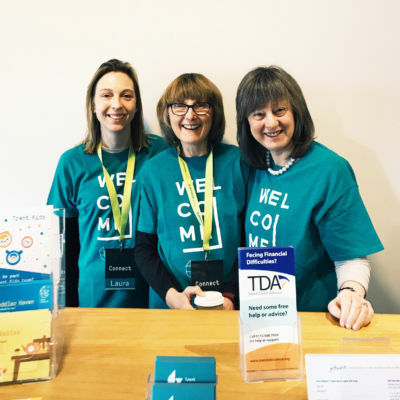 If you’re new to Trent Vineyard, looking for a small group or want to find out more about our events and courses, we have a Connect area with an information desk and a team on hand to answer any questions you may have. You can also take a look at the Trent Life magazine to get a flavour of all the areas you can get involved in. Alternatively, you can get in touch during the week via email or give us a call. We're passionate about all the kids God brings our way. 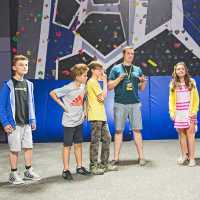 Trent Kids is a fun and exciting place for kids up to school year 6 to learn about Jesus and grow in their relationship with Him whether on a Sunday morning or during the week. A particular highlight is BiG where all those in school years 1-6 gather together for a high energy time of worship, teaching, games and of course, gunging! If it’s your first Sunday visit to Trent Vineyard, you’ll meet members of the church at the entrance doors and they’ll be happy to show you where to go. Children aged 0-5 can be signed into Trent Kids at 10:15 in the warehouse building. Children aged 5-11 need to head to the Kids' Centre. They will be ready for collection from midday and by 12:10 at the latest. For children with additional needs, we have a group called ‘Comets’, which is for children in school years 1-6. This group meets every Sunday morning from 10:15 in the Kid's Centre. We run events every week in term time for parents with babies and toddlers. Every other Tuesday evening from 17:45 - 19:00 we run 'Microgroups' for school years 4-6. Check out the events calendar for more information about what's on during the week. Trent Youth is about inspiring young people to love God, love others and change the world. It's for anyone in school years 7-13 and we usually meet in the Trent Youth Centre on Sunday mornings at 10:15. Trent Youth is a place for young people to be known, have fun, chat about the bible and worship together. Trent Youth Tuesdays are also on every week in the Youth Centre and include small groups and much more. Every year we go on a number of residential trips like Dreaming The Impossible, Soul Survivor and the Trent Youth Weekend Away, plus other events throughout the year. Take a look at our events calendar for more information on what's on for Trent Youth. The Youth Centre was designed specifically for young people and has a sports hall, café, climbing wall, dance studio and loads of other amazing facilities and equipment. It’s a great place for young people to hang out with their friends. 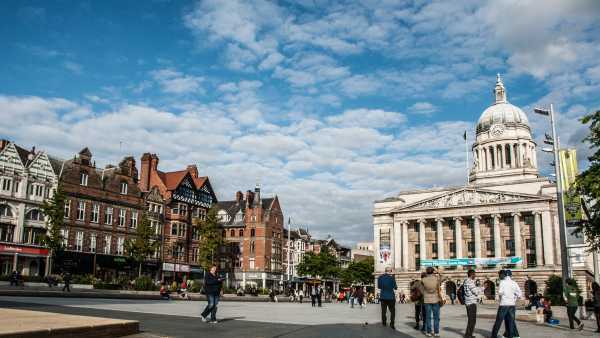 If you’re a student in Nottingham, we’d love to meet you! Our team are around every Sunday, and would love to get to know you over a drink and some free snacks after the evening service at Afterhours. Being a student is unique in many ways and we want to help, support and encourage you in this however we can. Students are part of the wider Young Adults’ community here at Trent and there’s so much to get involved in throughout the year – termly Gatherings and other Student and Young Adult specific events. The best way to get properly stuck in is to join one of our Student Small Groups! We meet weekly in houses or on campus, they are a great place to be known and find community, find out more here. We have a thriving community of Young Adults here at Trent. Whether you’re a student, young professional, on a gap year, or doing something entirely different, then this is a great place for you to connect. We are excited about this generation and all that God can do with, in, and through us. Young Adults is a great place to be known, be mentored, be encouraged and equipped. There’s always something to get stuck in to; from small groups, to worship gatherings, socials, after-hours and Sundays. We hope to see our Young Adults growing in friendship with each other, and in relationship with God. To find out more, follow us on Facebook, Instagram or get in touch via email.